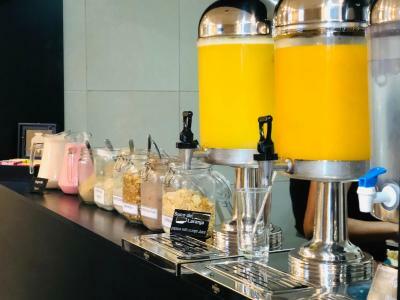 Very clean room; staff at check in were very helpful and pleasant; AC in room worked great and room was very comfortable; located just a few minutes walk from the tourist bus stop, airport bus stop, and mall. I slept great! 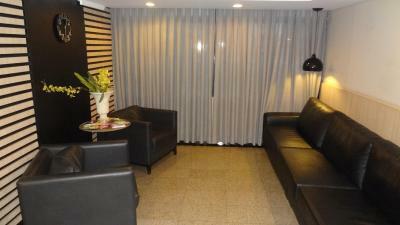 The staff is very kind, it is a fair clean hotel and well located. It´s a good choice for sleeping when you stay out during the whole day, great for the price. 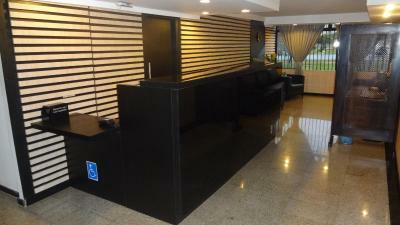 This hotel is a good option for bussiness trip to Brasília. Good value for money. The deluxe room was cheaper than the standard room - at the time of booking - so meant a very big spacious room. The staff - especially Fabio - were really helpful, despite the language barriers! 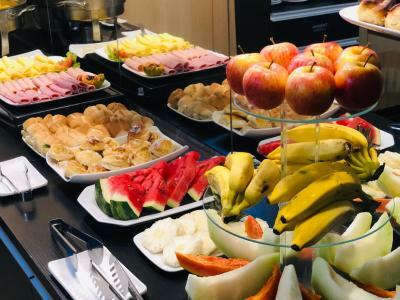 The breakfast was plenty - fresh fruit, juice and fresh bread. The location - really close to lots of the main sites, and easy to walk to them. Convenient & quite comfortable for a night. Near mall with shopping & food court. Very convenient for main sites like TV tower. Receptionist Mairon Cesar was very helpful after I had a fall outside. Breakfast was ok. Free public parking places nearby. Brasilia is, generally speaking, a challenge for tourists. The hotels are grouped together in areas that are not necessarily the ones where tourists want to be. However, this hotel is close to the Telecom tower - that you want anyway to visit - and to a very good churrasco restaurant. The staff of the hotel did give me all the information I asked for. 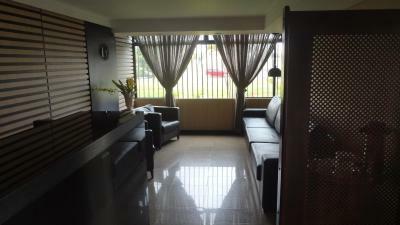 The property offers all the basic features you would expect from a hotel of that range of price. Hotel Diplomat This rating is a reflection of how the property compares to the industry standard when it comes to price, facilities and services available. It's based on a self-evaluation by the property. Use this rating to help choose your stay! One of our best sellers in Brasília! 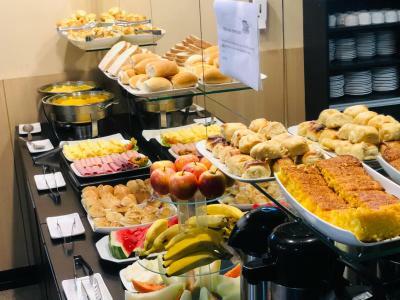 Located 1,650 feet from Brasilia Shopping center, Hotel Diplomat offers free Wi-Fi, a daily breakfast and 24-hour front desk service. Brasilia bus terminal is 1,300 feet away and Conjunto Nacional shopping center is 0.6 mi away. Equipped with air conditioning, all rooms at Hotel Diplomat contain a cable TV, a mini-bar and a bathroom. They also provide a small seating area, a safe and a telephone. 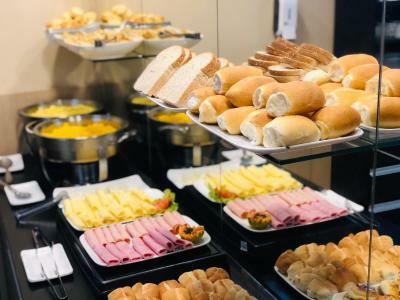 The buffet breakfast is served daily in the breakfast room. 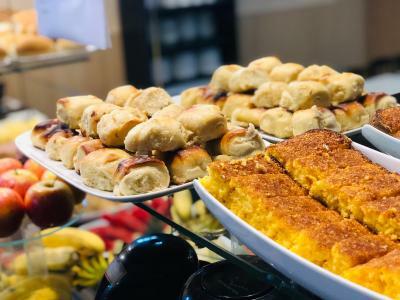 It includes fruits, breads, cakes and cold meats, as well as a selection of hot and cold drinks. Soup and toast is served Monday- Thursday 19:00 - 21:00 (subject to availability). Liberty shopping center is 0.6 mi away and Mané Garrincha Stadium is 1.9 mi away. Juscelino Kubistchek International Airport is 5.6 mi away. When would you like to stay at Hotel Diplomat? House Rules Hotel Diplomat takes special requests – add in the next step! Hotel Diplomat accepts these cards and reserves the right to temporarily hold an amount prior to arrival. Value and good location. On- site parking. There was only a very dim central light in the room. It would have been nice to have had reading lamps by/near the bed. The wifi sometimes didn't work. simple and clean. very good location. I stayed at weekend when it was cheaper. During week it would be expensive.